kingsnake blog Kingsnake.com Blog - Herp Photo of the Day: Rattlesnake Friday! Happy Rattlesnake Friday! This certainly is not a rattlesnake, but it is a beautiful venomous creature. 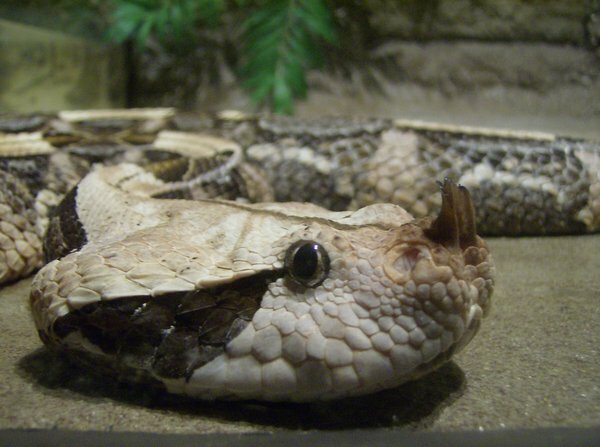 What a great close up of a Gaboon Viper, uploaded by kingsnake.com user magnum26 is full of sassy and potentially life-saving venom! Be sure to tell them you liked it here! As always on Friday, we celebrate all of our venomous reptiles for their contribution to the world.